Trench Collection by Sonia Verardo: Benefit Fake Up Crease Control Hydrating Concealer Review & Demo! 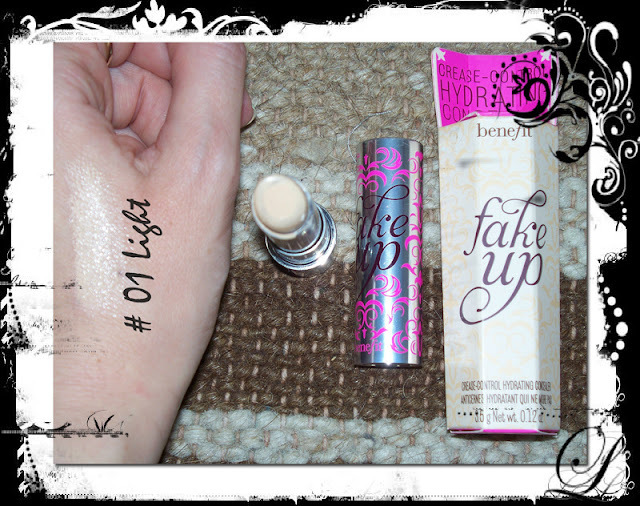 Benefit Fake Up Crease Control Hydrating Concealer Review & Demo! I have a new favourite concealer for my under eye area! I haven't been so excited about a beauty product in a while! Now, I'm using the Fake up concealer on a daily basis and I can honestly say it's the one and only concealer that works wonders for me! - Because it's very hydrating, it contains vitamin E & apple seed extract. 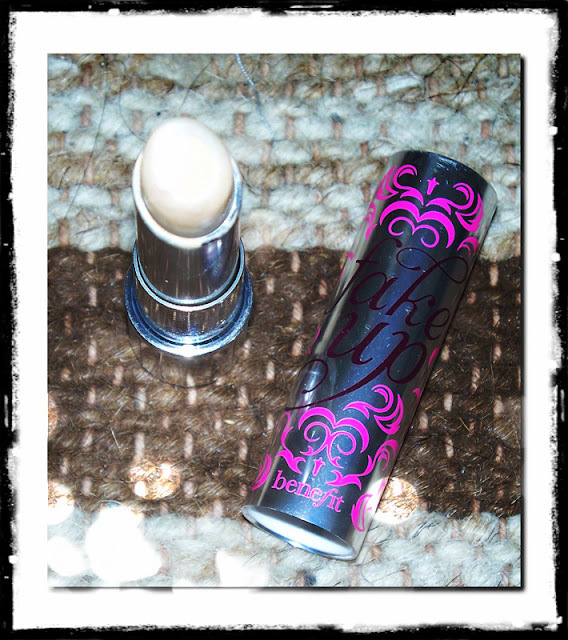 - Because it's crease- control concealer! You know how some concealers can be quite drying, hard to work with, and, even though they cover well, they accentuate every fine line that you might have??? 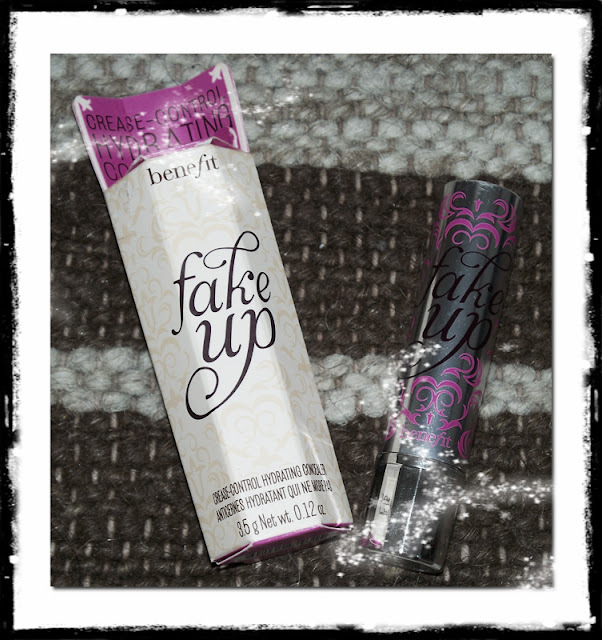 Well, this Fake Up concealer is very blendable and it glides smoothly onto your skin. It really diffuses fine lines, and it gives a very beautiful, natural look. It won't crease at all, and you can even re-apply it throughout the day, if you feel like touching up your make up, because you can easily build it up without creating patchiness or cakey effect! It won't give you the same coverage as some other heavy-duty concealers will (such as the Erase Paste, or boi-ing concealers...), but you can actually use it over any other concealer to diffuse fine lines & hydrate under eye area! It's actually divided into a two parts: One is light-diffusing, skin-smoothing concealer, and the other one is hydrator that contains vitamin E and apple seed extract. These two parts are blended together upon each application. You can also use this concealer anywhere on your face, where you need to smooth the skin, cover up any fine lines; you just need to dot the product onto your skin & blend with your fingers! I use it in a shade #01 light, which works best on my fair skin. It also acts as a highlighter, and this is one of the reasons why I absolutely love this product! Even though this concealer is very illuminating, I don't know how well it would cover up very pronounced dark cirles! Plus, because it's packed in such a handy container, it's easy to just throw it into your make up bag & to use it even when you're on the go, or on travellings! Have you tried this product already? What do you look for in an under-eye concealer?